You make a difference. God is going to require you for a specific calling, and grant you the victory over every enemy you may have. And on "that" day, God will allow you to witness the fall of the enemy for your benefit and for His Glory! God can use anyone for anything! All we have to do is trust Him and His Plan. God delivered the people of Israel from a life of slavery in Egypt and brought them into the land that He had promised their fore fathers. Despite God’s display of amazing power, unfailing love and faithfulness, Israel struggled to remain faithful to God. In the book of Judges we discover that the only thing the people of Israel were faithful in was being unfaithful. Too many times the picture of God’s children back then mirrors the picture of God’s children today. Join us as we explore the old Testament of Judges to learn the lessons and pitfalls of living Faithfully Unfaithfully lives. We can learn from Judges 4 that we have an opportunity to break the cycle when we begin wanting to hear truth from sources that don't build up our self-esteem. The 3rd message in Tapestry's series on the book of Judges. God wants to work through His people but that doesn't mean He needs to. Unfortunately the audio wasn't picked up for the first half of the sermon. Welcome to Sermon Cloud. 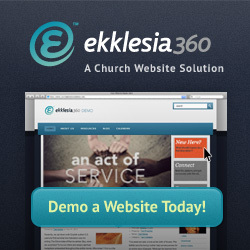 Login, Create an Account or Add your Church. Is the Modern Church Praising God the Right Way? What Do We Accomplish When We Love One Another? Why is your but so big? Copyright © 2019 The Cloud Network. All rights reserved.